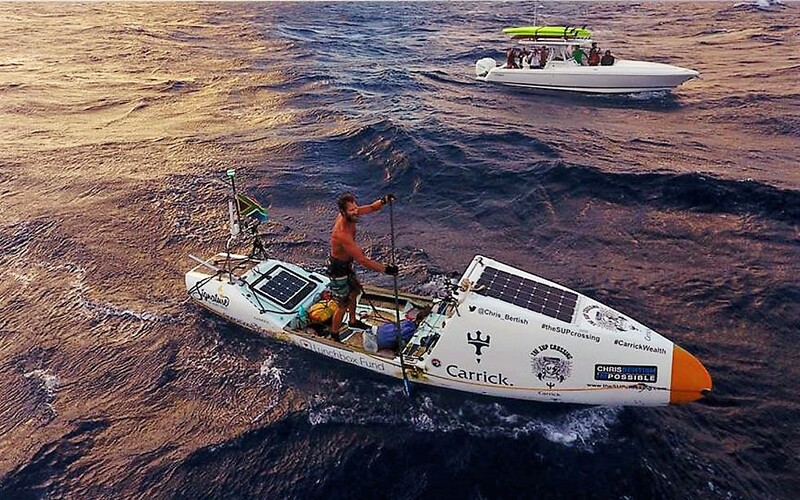 Four thousand miles and ninety-three days of stand-up paddling across the Atlantic Ocean from Agadir to Antigua – most people would say and think this was impossible but the amazing South African Chris Bertish- I’MPossible has just achieved this historic and phenomenal crossing with great courage, true grit and determination. His has paddled through storms, terrifying ocean conditions and an encounter with a great white shark but his mind was set to finish the first ever Atlantic SUP crossing. Chris Bertish you have a well-deserved place in the history of ocean expeditions – many, many congratulations.